Americans spend billions of dollars each year attempting to ease headache pain. 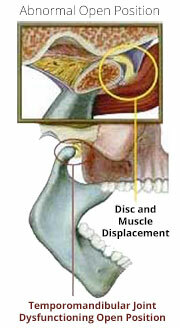 In many cases, headaches, neck pain, and other unpleasant symptoms are caused by TMJ dysfunction. This condition results when the temporomandibular joints, or jaw joints, are out of sync. 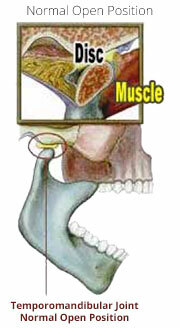 Your jaw joints control the opening and closing of your mouth. When these joints become fatigued, the related muscles and nerves get overworked, which can cause strain and spasms. If you are dealing with pain, let the doctors at Virginia Family Dental evaluate your mouth to determine the cause of your TMJ symptoms and help alleviate your discomfort. Non-surgical treatment for TMJ may include the use of an NTI-tss, a special mouth-guard that keeps your jaw in the proper position. Other recommendations in addition to a mouth-guard may involve techniques to relieve tension, strengthening exercises, moist heat or ice, and anti-inflammatory medications. Night Guards are available for those suffering from bruxism (grinding your teeth at night). The night guard cushions the teeth and jaws preventing tooth wear, sensitivity, or even fractured teeth as well as jaw pain and headaches. For more information about Night Guards and TMJ Treatments, call Virginia Family Dental at (218) 741-0405 to schedule a consultation.